Well, four months after my latest post, a university break enables me to turn my attention to the blog once again (for a short stand though). 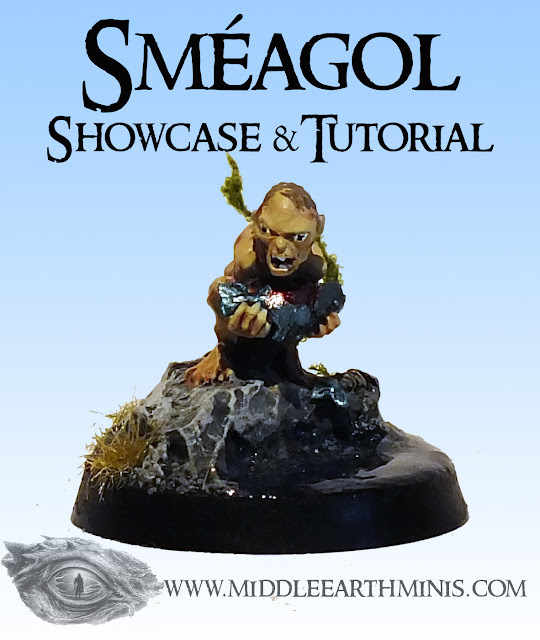 For the first post of 2018 I'll be presenting Sméagol/Gollum. 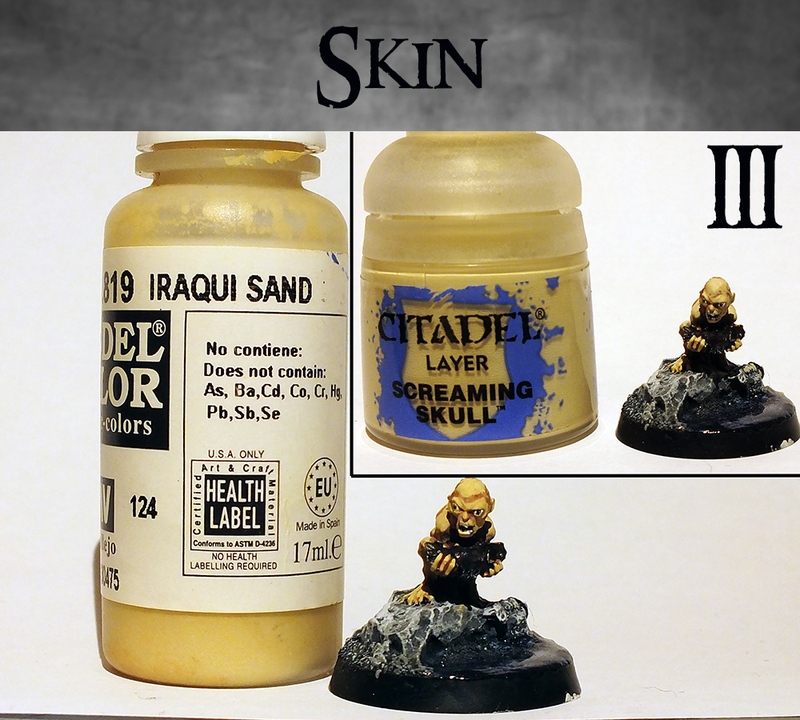 This miniature is part of the BGiME magazines (came with the number 63) and was painted about two months ago, but due to lack of time it has been waiting on the shelf for photos and varnishing all this time. 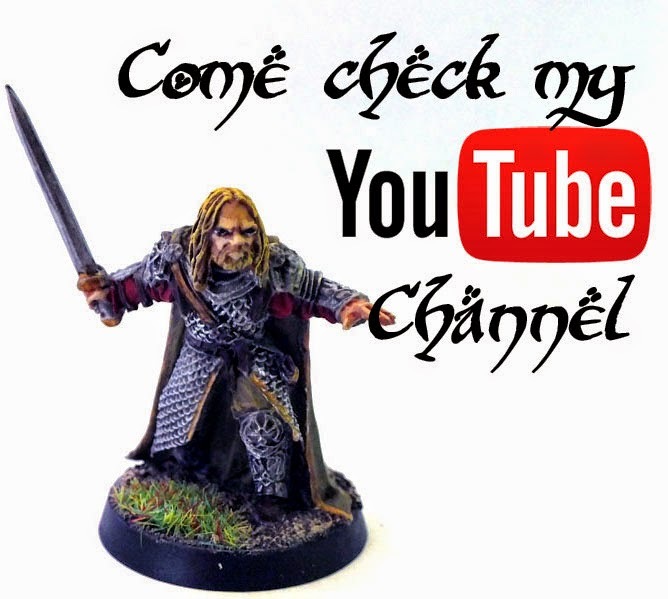 "Ghoul and former Hobbit. 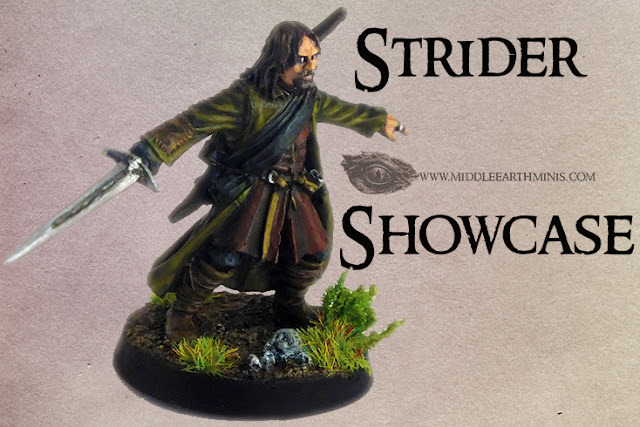 Gollum was once a Hobbit of the Stoor strain called Sméagol, who was born not far from Gladden Fields in the Vales of Anduin. In 2463 of the Third Age, Sméagol's cousin Déagol found the One Ring while fishing and Sméagol immediately murdered him for it. The power of the Ring lengthened Sméagol's life, yet it warped him beyond recognition. 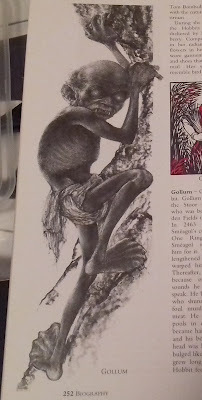 Thereafter he was called Gollum because of the nasty, gutteral sounds he made when trying to speak. He became a ghoulish being who shunned light and lived by foul murder and eating unclean meat. He found comfort in dark pools in deep caverns. His skin became hairless, black and clammy, and his body thin and gaunt. His head was like a skull and his eyes bulged like those of a fish. 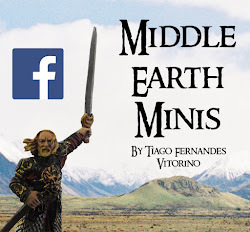 His teeth grew long like Orc fangs,and his Hobbit feet grew flat and webbed. For nearly five centuries, Gollum lived hidden in caverns beneath the Misty Mountains. 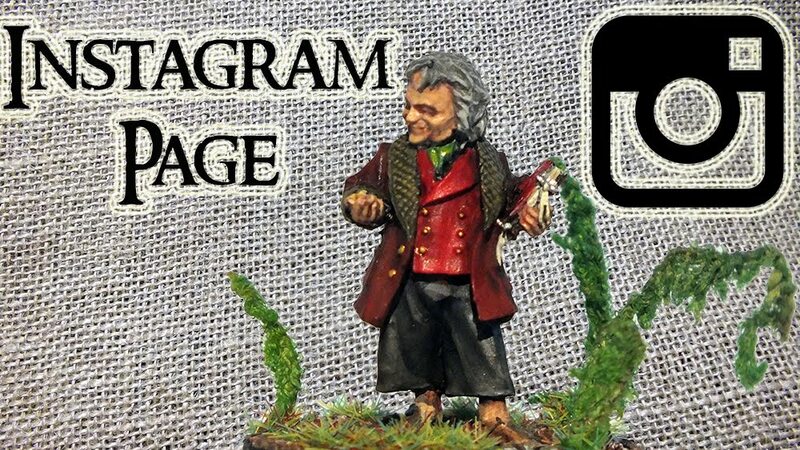 Then, in 2941, the Hobbit Bilbo Baggins made a fateful visit to his cavern and took the One Ring from Gollum. In 3019, Gollum at last hunted Frodo Baggins, the new Ringbearer, but try as he might, he could not overcome him. For a time Frodo almost seemed able to tame Gollum, but Gollum lived by treachery. So it was at the final moment, when the power of the Ring overcame even the good Frodo upon Mount Doom, Gollum attacked the Ringbearer on the edge of the Cracks of Doom. Summoning all his evil strength, Gollum won the Ring by biting off Frodo's finger, but at that moment of victory, he toppled backwards with his precious prize down into the fiery bowels of the Earth." 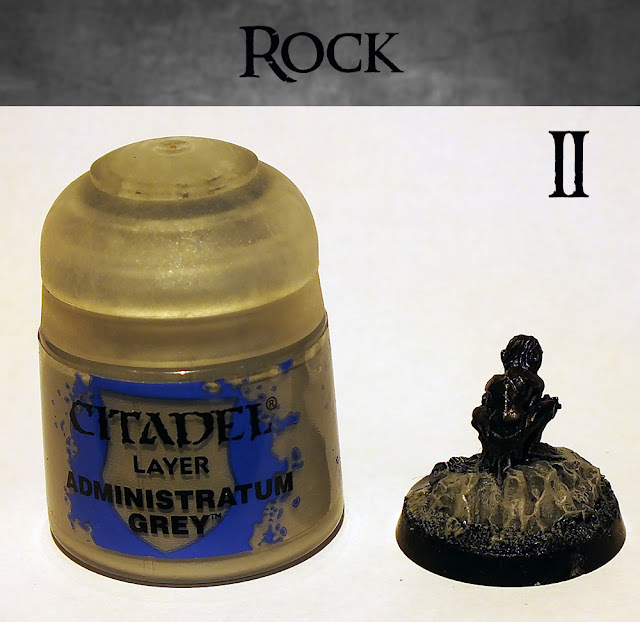 This miniature is very easy to paint, but it has some details that really characterise it overall. 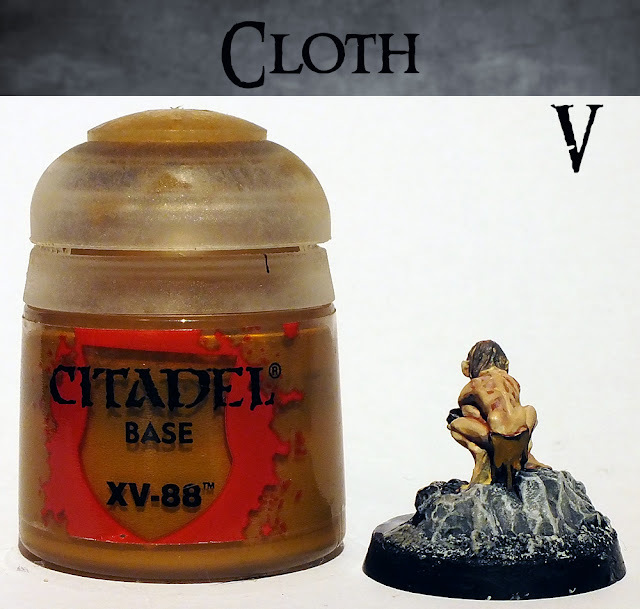 The difference really stands in the details for this one. 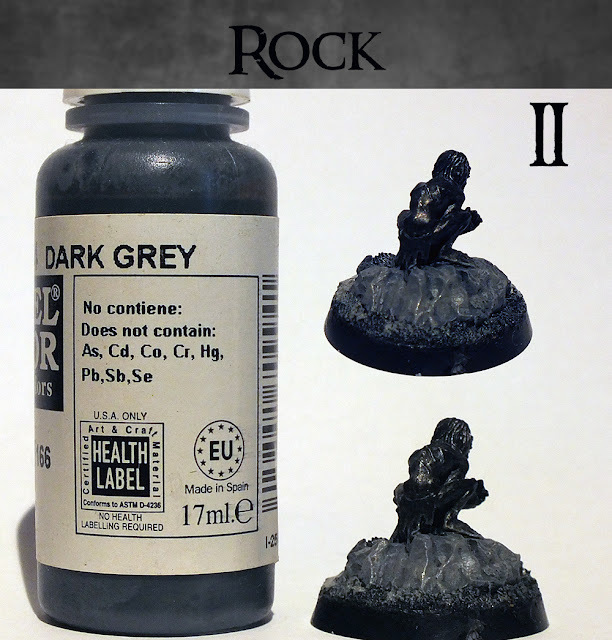 (making sure they had all different tones), and a hint of green. 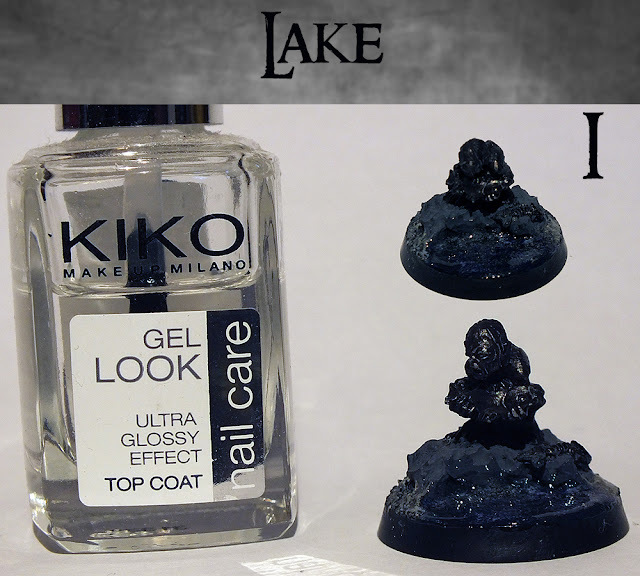 Then I applied a transparent nail varnish with glossy effect, in about 6/7 thin coats. before proceeding to the next layer. applied heavily, so it could make for most of the rock. that final rock ground look. and great focus should take place when working on it. avoiding only the eyes and the mouth, since I prefer to have them done after the washing/shading process. 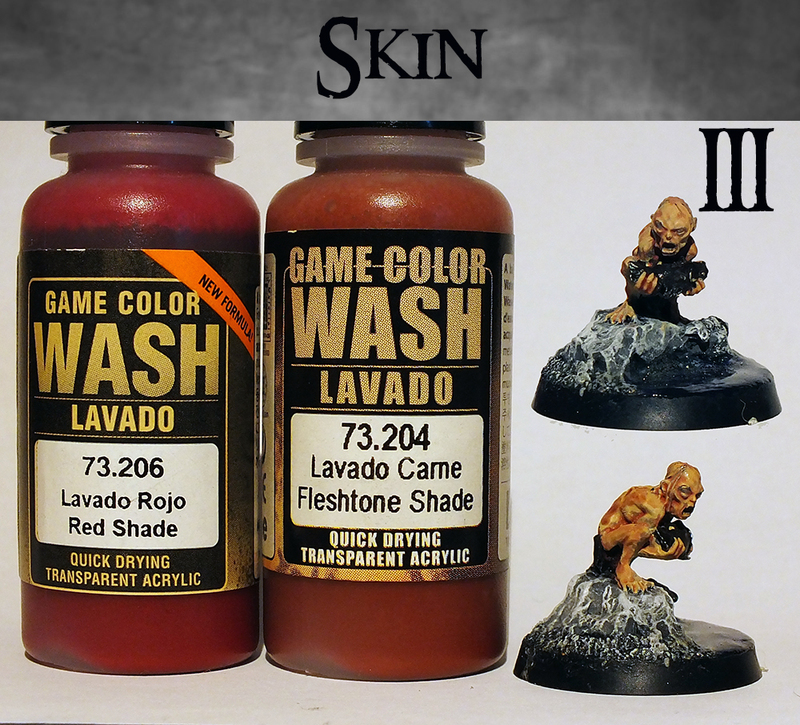 I've applied a 70/30 mix of Vallejo's Fleshtone Shade and Red Shade. 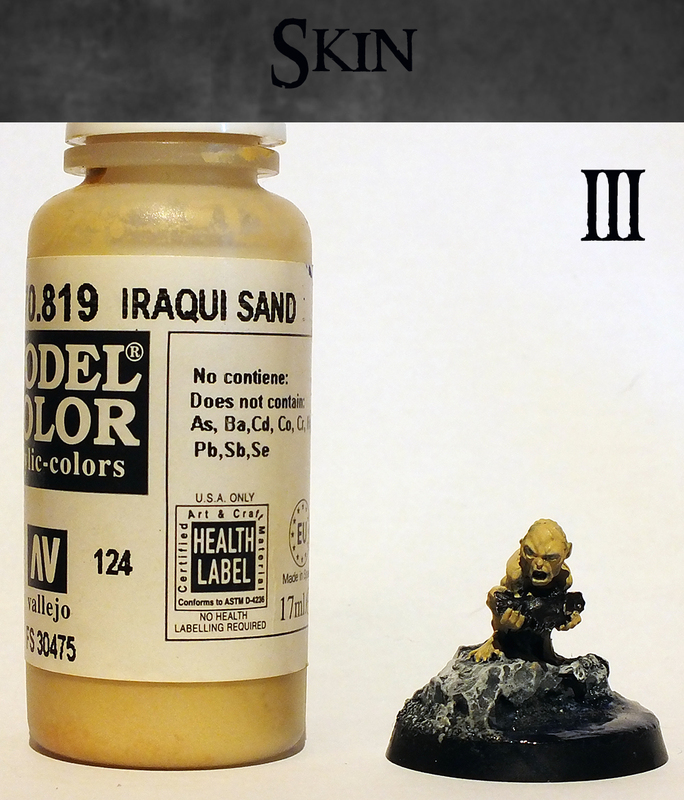 First, again with Vallejo's Iraqui Sand in the most prominent areas of the skin. 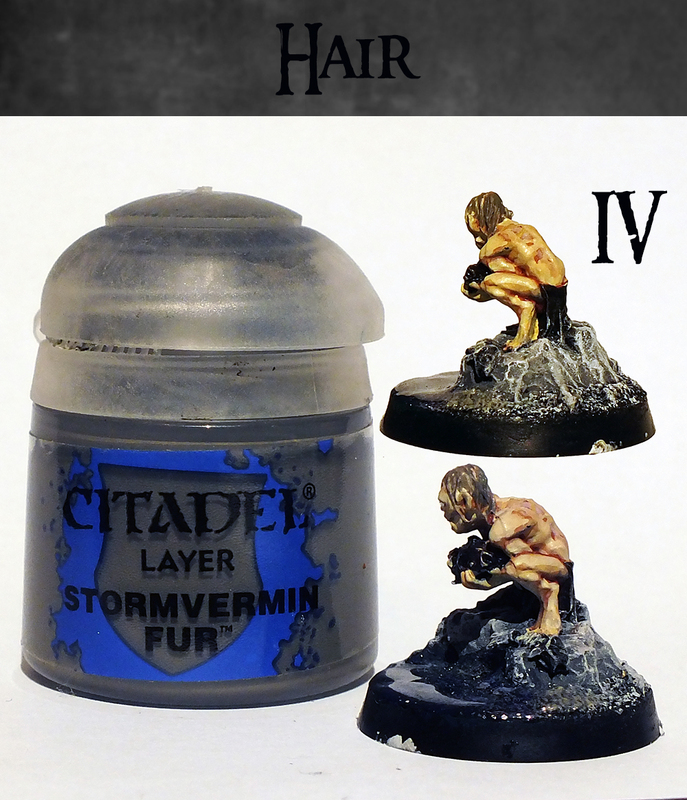 For Sméagol's hair all I've used was Citadel's Stormvermin Fur and a really small brush. It's crucial that it's done calmly and with a firm hand. so the final step will be essential. For the basecoat, here it is: Citadel's Rhinox Hide. 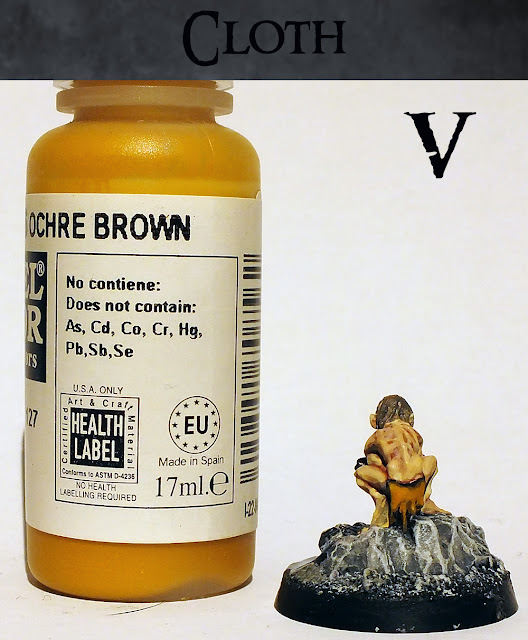 ...and the second highlights were made with Vallejo's Ochre Brown. always with the objective of finishing it with the final washing fase. 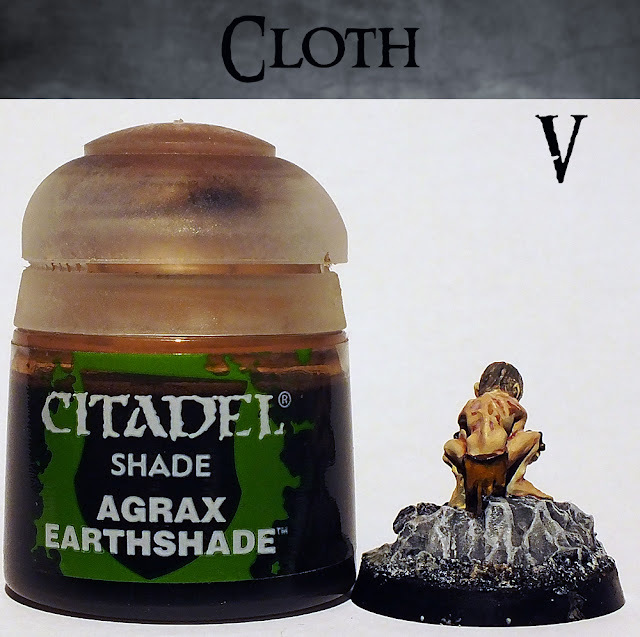 And there it is, the final step with Citadel's Agrax Earthshade applied all over Sméagol's cloth. 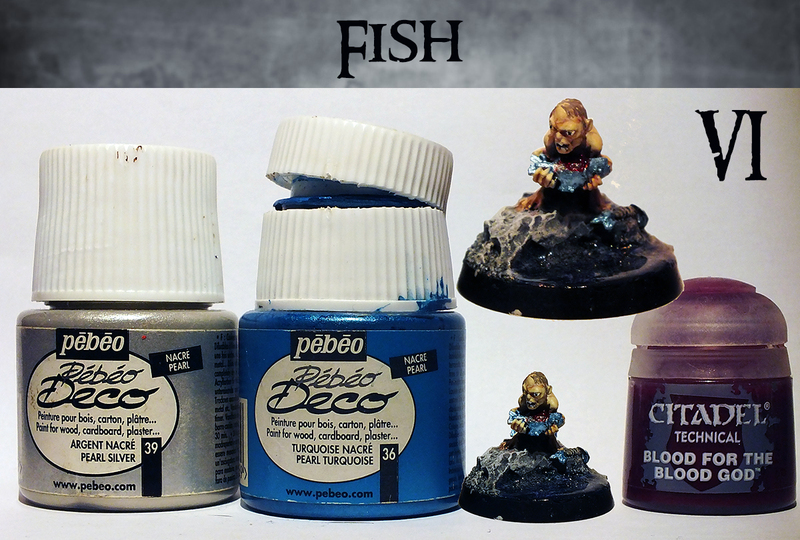 For the final part of the miniature, I decided to paint the fishes. 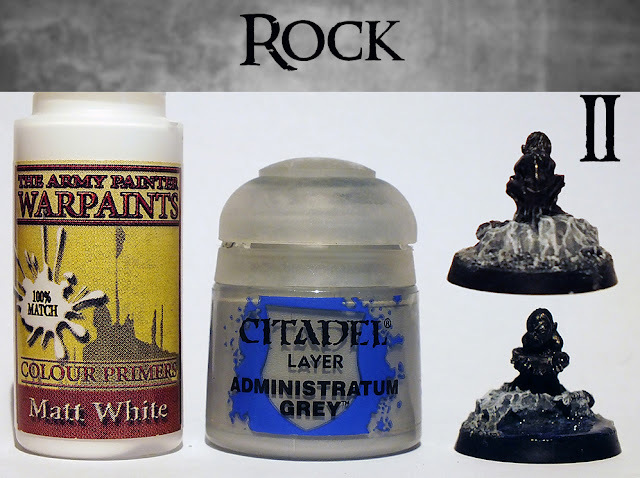 but I'm sure a mix of silver acrylics with any non metallic blue will achieve the same effect. For the fish bones of the fish laying in the rock, I've simply drybrushed lightly with white. 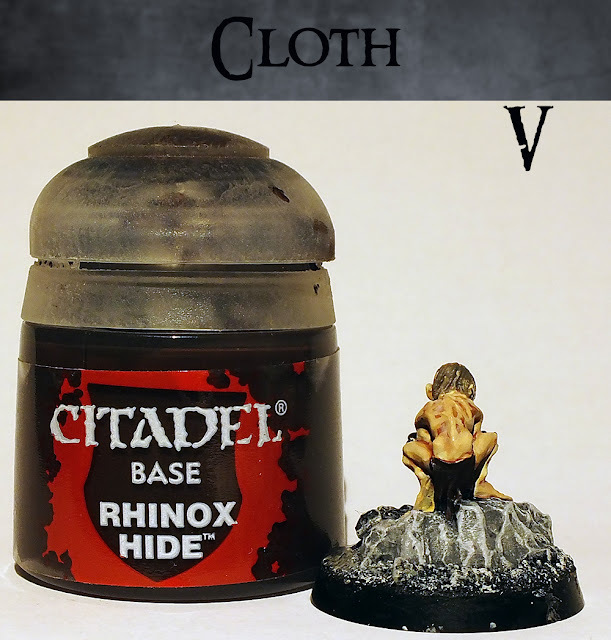 Citadel's "Technical" paint Blood for the Blood God in the raw fish that Sméagol is eating. Next, all I did was applying the final vegetation, and that's all !! gets noticed (particularly in the skin work). Overall I enjoyed it a lot, and am really happy with how the lake turned out! I wish everyone an excellent 2018!